Miles Osland has distinguished himself as an educator, recording and performing artist, author, arranger and composer. Currently the Director of Jazz Studies and Professor of Saxophone at the University of Kentucky, he has appeared throughout North, South America, Europe and Asia as a guest conductor, performer and clinician for Selmer (France) Saxophones, Avanti flutes, Bliss clarinets, Rico Reeds and JodyJazz mouthpieces. His compositions and arrangements, available through Walrus Music, have been recognized and supported by fellowships from the National Endowment for the Arts, the Kentucky Arts Council, and by numerous other arts foundations. 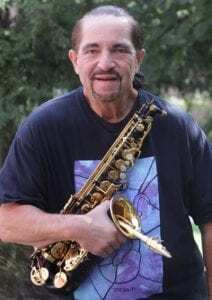 Sea Breeze Jazz Records, one of the most respected labels in jazz, has submitted ten of his recordings, including Saxercise and My Old Kentucky Home, for Grammy nominations. His recording for Open Loop Jazz Records, An Old Speckled Hen at Snapes Malting, was inspired by his experiences while performing in England. The debut recording by the Osland Saxophone Quartet has been hailed by the Saxophone Journal as “a great example of the century of music to come”, and was featured on NPR’s nationally syndicated classical radio show Performance Today. Their latest recording is a 2-CD set titled Commission Impossible. A masterful compilation, it spans ten years of music making by OSQ and documents the repertoire written for and commissioned by the Quartet. Three books authored by Mr. Osland are available through Dorn Publications and his scholarly work (which includes over 75 published articles and reviews on saxophone technique and jazz improvisation) can be found in a variety of publications including Downbeat, Jazz Educators Journal, Jazz Player Magazine, Saxophone Journal, Selmer Woodwind Notes and Windplayer Magazine. He has three books/CD’s published by Warner Brothers titled: Solo Transcriptions and Performing Artist Master Class CD; The Music of Bob Mintzer, The Music of Nestor Torres and The Music of Eddie Daniels. Professor Osland holds a Master’s degree from Eastman School of Music and his major teachers have included: Ramon Ricker & Gary Foster (saxophone), Charles Bay (clarinet) and Jim Walker (flute).